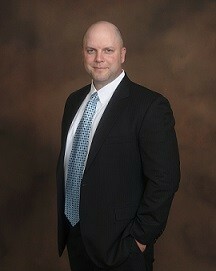 Brian S. Young, CFP®, ChSNC® has more than 20 years professional experience in the financial industry. 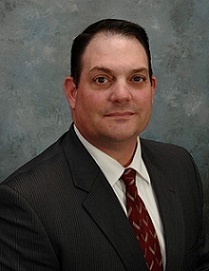 He has earned the designation as a Certified Financial Planner™ professional and maintains a Series 7 General Securities registration and is licensed in life, health, and long-term care insurance. Inspired by his son with Autism, Brian has acquired a designation as a Chartered Special Needs Consultant, which focuses on financial planning for families that have a child or other family members with special needs. Brian is also a Member of the Academy of Special Needs Planners. Brian is a graduate of Slippery Rock University in Pennsylvania, with a Bachelor of Science in Business Administration and Finance with a minor in marketing. He’s had the opportunity to study the international financial markets at Napier University while in Edinburgh, Scotland. Formerly from Altoona, Pennsylvania, Brian currently resides in Smithsburg, Maryland with his wife Tami and son Maximus. A graduate of Middletown High School, Joe has family roots in Frederick Country dating back several centuries. He graduated from Slippery Rock University in Pennsylvania with honors. While at SRU, he was a member of the TriBeta Honor Society and the recipient of the Pennsylvania State Athletic Conference Scholar Athlete Award. Joe spent 18 years working with a Fortune 500 healthcare company rising to the head of the United States' field operations division, overseeing an annual P & L of $65 million with oversight of over 90 associates. His success was a product of the emphasis he placed on customer service, sound financial principles, and the relationships he built with clients. Joe is committed to serving the community and providing that same level of service to help meet his clients' financial needs. Joe is dedicated to his family, coaches youth sports, and serves as the treasurer of Catoctin Fish and Game Protective Association. He resides in Middletown with his wife Amie and children Maddie, Ty and Cooper.